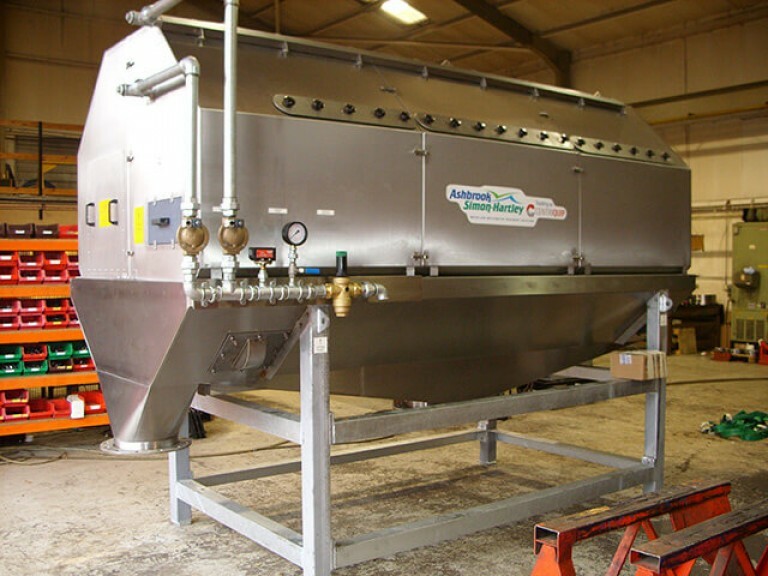 1/ This Purification Unit needed to be in the Far East urgently, the only option was to airfreight it for speed. 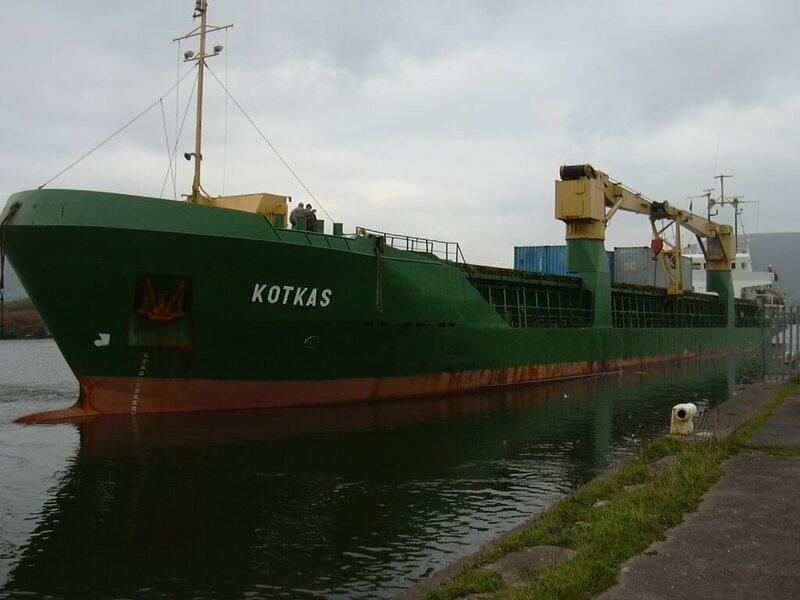 Due to it’s size it could only be transported on a 747 freighter aircraft. 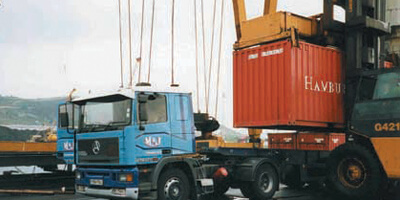 At nearly 7 tonnes the unit was also very delicate and had to be suitably packed for cargo safety, whilst keeping the weight and size to a minimum. 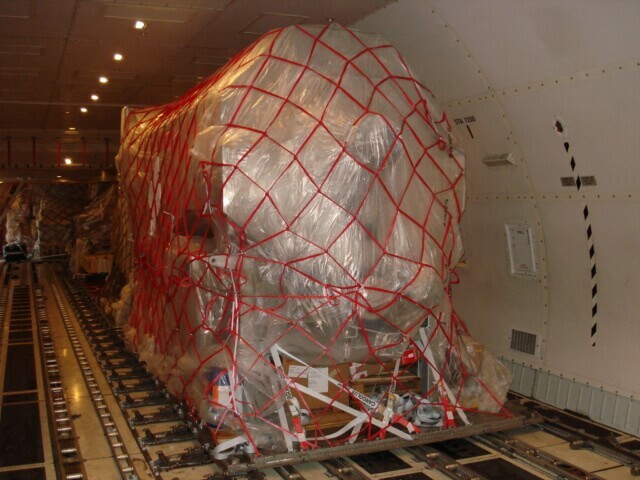 2/ Once packed, special arrangements were made for delivery to the 747. 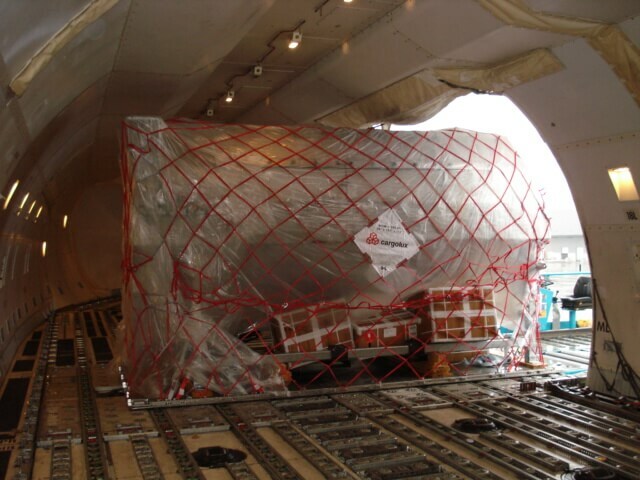 3/ Now being loaded on board the 747, to be secured in the hold of the aircraft, ready for take off. 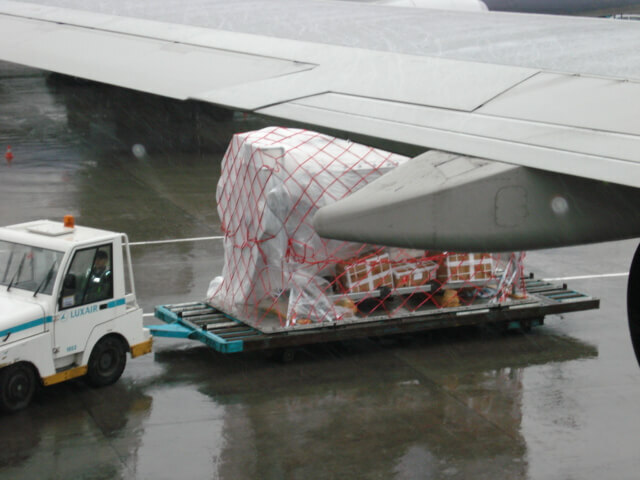 4/ It arrived on time and within budget in Korea. 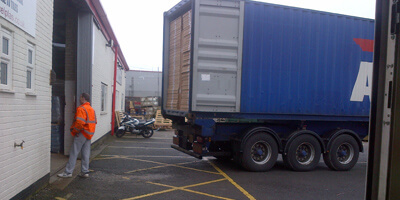 Another satisfied customer thanks to our exporter uk team.